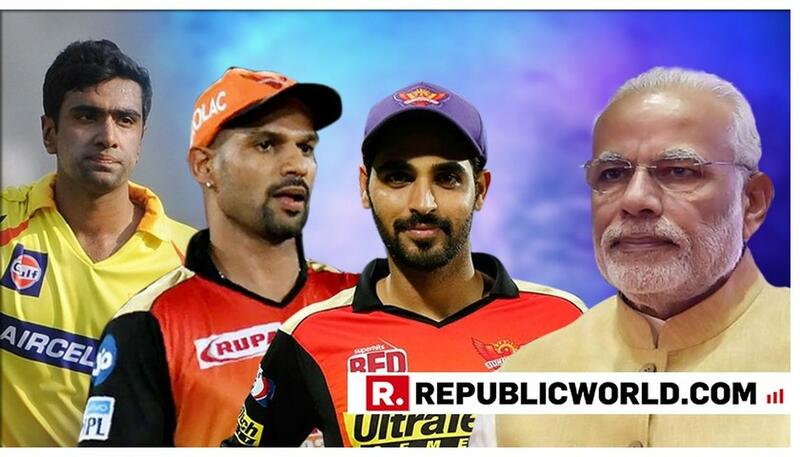 With the Lok Sabha polls looming ever so close, Prime Minister Narendra Modi has requested India's cricketing trio Shikhar Dhawan, Bhuvneshwar Kumar and Ravichandran Ashwin to encourage voter participation in the upcoming elections. In a series of tweets, the Prime Minister has been urging prominent personalities across various sectors to use their presence among followers to let them know of their voting responsibilities. And in this regard, PM Modi has written a message for the cricketers using #VoteKar, urging them to do the same. "On the cricket field, Shikhar Dhawan, Bhuvneshwar Kumar and Ravichandran Ashwin shine with their incredible talent and absolute commitment towards their team. I urge them to encourage greater voter awareness and voter participation. Young India will follow their lead. #VoteKar" his Twitter post read. On the cricket field, @SDhawan25, @BhuviOfficial and @ashwinravi99 shine with their incredible talent and absolute commitment towards their team. I urge them to encourage greater voter awareness and voter participation. Just over 10 days ago, the Prime Minister had written a similar message for the three big heavyweights of Indian cricket - MS Dhoni, Virat Kohli and Rohit Sharma - asking them to help the country set voting record. "Dear MS Dhoni, Virat Kohli and Rohit Sharm, You are always setting outstanding records on the cricketing field but this time, do inspire the 130 crore people of India to set a new record of high voter turnout in the upcoming elections. When this happens, democracy will be the winner!" he had tweeted on March 13. The Lok Sabha polls 2019 will commence on April 11, will be held in seven phases, and will conclude on May 19, with the counting of votes taking place on May 23.